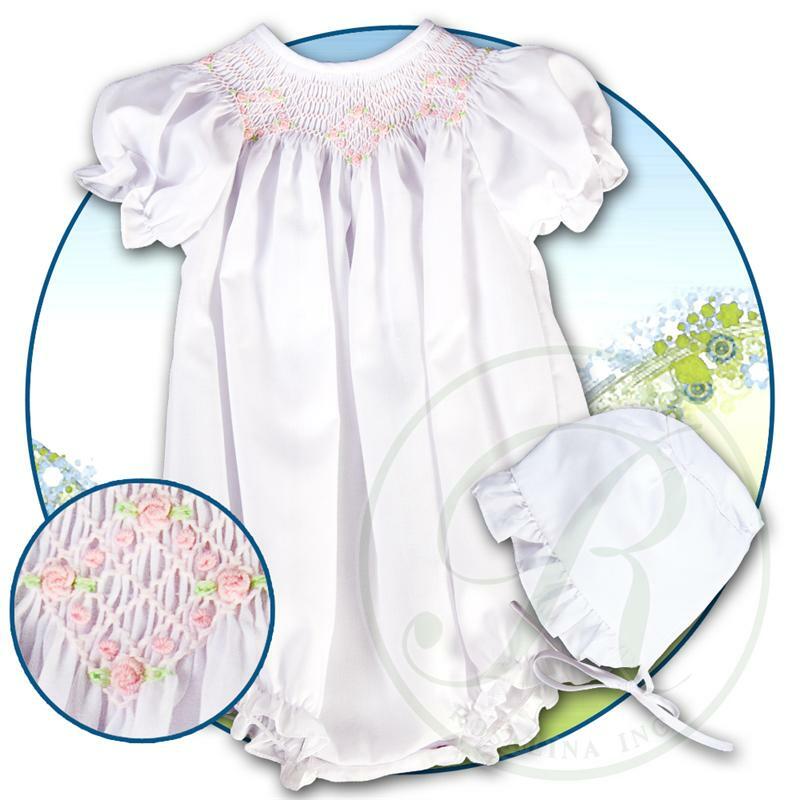 This sweet little white cotton blend bubble is made by Rosalina, a leading designer of quality childrens' smocked apparel. 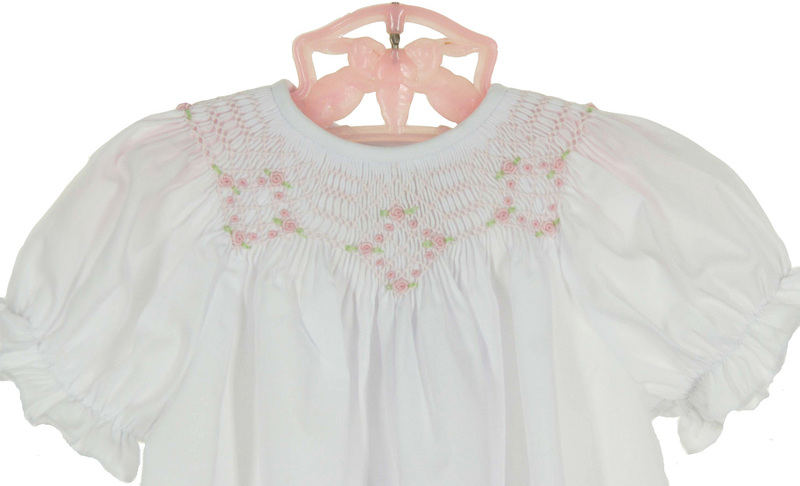 It features bishop smocking embroidered with pink rosebuds. 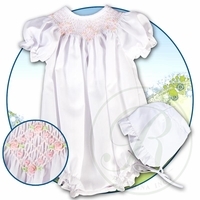 The bubble has a simple round neckline and short puffed sleeves finished with elasticized ruffles, with a back buttoned closure. 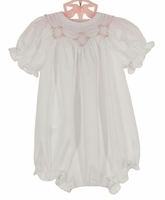 The leg openings have elasticized ruffles and crotch snaps for ease of wear. 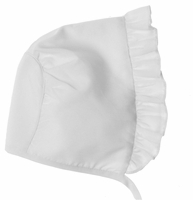 Matching white bonnet is included. A darling portrait bubble for your baby girl! 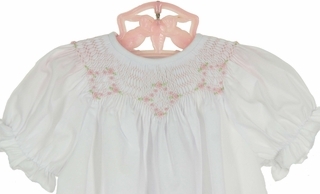 Note: Bubble is also available in pink. 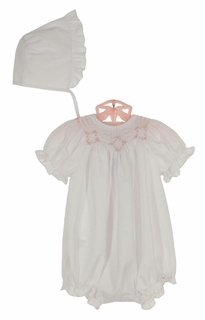 Matching daygown is also available. See below.